By Dr. Karen Vieira Ph.D. The brain is the body’s control center, therefore, maintaining optimal health in this vital organ is important to your overall well-being. Exercising regularly, eating nutritious foods, getting adequate amounts of sleep every night are all important in promoting brain health. There are also several supplements that can be taken to promote enhanced brain function. 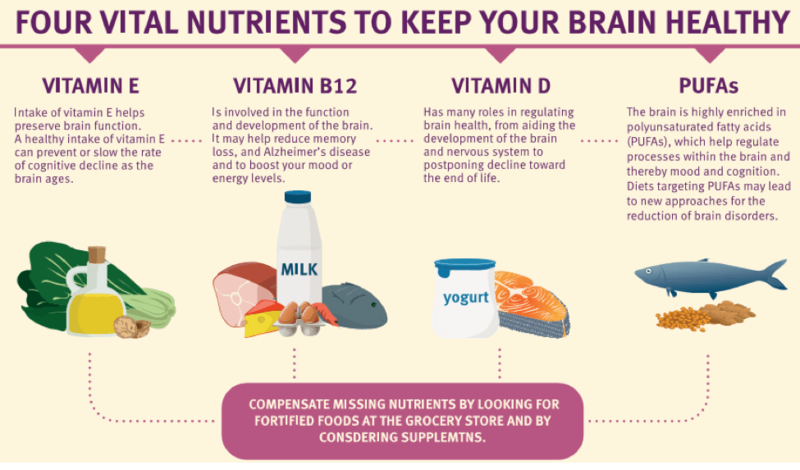 This article will discuss the best nutrients for brain function. Polyunsaturated fatty acids are nutrients that protect cells in the brain and boost cognitive function, mood, and energy. They are vital for facilitating various mental processes. 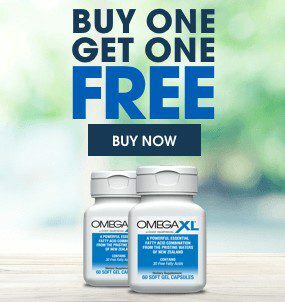 The brain typically contains adequate levels of polyunsaturated fatty acids, however, supplementing the diet with this type of fatty acid may further enhance brain health and support the prevention of various brain diseases (e.g., Alzheimer’s dementia) . According to Dr. Naima Moustaid-Moussa, PhD, from the Department of Animal Science at the University of Tennessee, marine-based fish and fish oil are the most popular sources of n-3 polyunsaturated fatty acids (PUFAs), namely, docosahexaenoic acid (DHA) and eicosapentaenoic acid (EPA) . Due to the antioxidant, anti-depression, antiaging, and anti-inflammatory effects of PUFAs, Dr. Moustaid-Moussa recommend that PUFAs be consumed regularly, especially from dietary sources. Vitamin E is another nutrient that has been shown to protect cells in the brain from damage caused by oxidative stress . Oxidative stress refers to an imbalance between the rapid production of free radicals and the body’s ability to use antioxidants to detoxify or neutralize the destructive effects . Free radicals are produced from foreign substances (e.g., pollution, processed foods) that initiate the transfer of single electrons to oxygen instead of electron pairs, and this leads to the production of reactive oxygen species that damage healthy brain cells. The normal electron transfer process allows oxygen molecules to receive a pair of electrons, which produces the usual water (H2O) end product. When this process is interrupted, however, the level of reactive oxygen species (e.g., free radicals) in the body begins to increase and this causes oxidative stress. Vitamin E has potent antioxidant properties, which have been shown to target oxidative stress, including that which may affect cells in the brain . Dr. Esther Giraldo, PhD, from the Department of Physiology at the University of Valencia suggests that “antioxidant prevention, through a diet supplemented with vitamin E, may be useful in Alzheimer’s disease therapeutics” by enhancing brain health . Additional vitamins for brain function include vitamins D and B12. Vitamin D has been shown to promote proper brain cell and structural development as well as hinder the occurrence of mental decline as individuals become older . Similarly, vitamin B12 plays a role in adult brain function, and Dr. Sadhana Ramchandra, PhD, Joshi of Bharati Vidyapeeth Deemed University even suggests that the combination of vitamin B12 and PUFAs, specifically omega-3 fatty acids, can boost mental health and cognition . 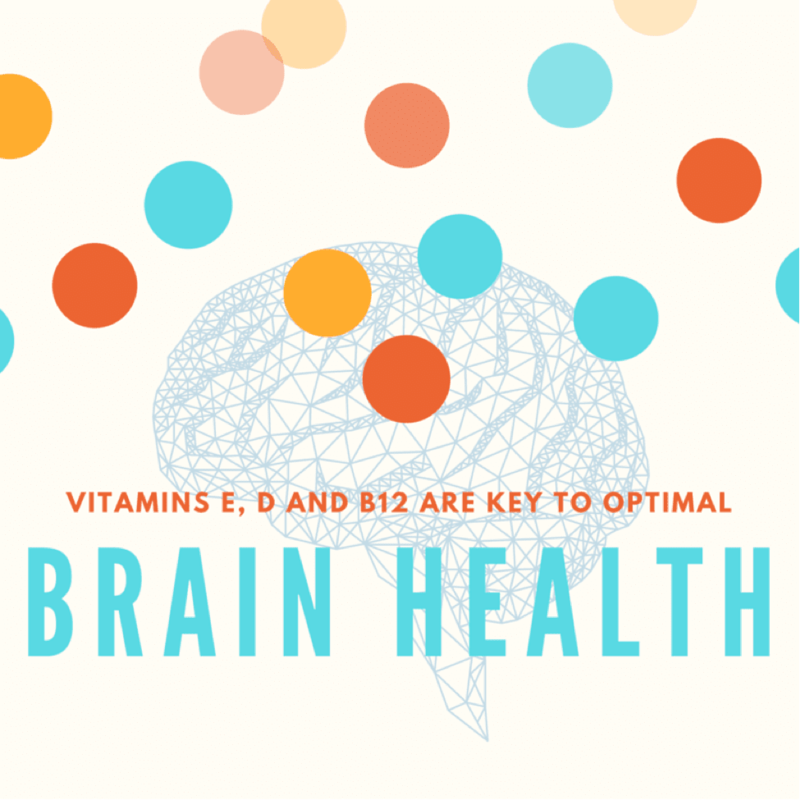 Overall, there is an abundance of research which shows that PUFAs as well as vitamins E, D, and B12 are key to optimal brain health. The following infographic also explains the importance of supplementing the diet with each of these four nutrients. DSM Nutrition Science & Advocacy. Mind your vitamin E intake for brain health and beyond. Siriwardhana N, Kalupahana NS, Moustaid-Moussa N. Health benefits of n-3 polyunsaturated fatty acids: eicosapentaenoic acid and docosahexaenoic acid.Adv Food Nutr Res. 2012; 65:211-22. Giraldo E, Lloret A, Fuchsberger T, Viña J. Aβ and tau toxicities in Alzheimer’s are linked via oxidative stress-induced p38 activation: protective role of vitamin E. Redox Biol. 2014 Mar 10;2:873-7. Eyles DW, Burne TH, McGrath JJ. Vitamin D, effects on brain development, adult brain function and the links between low levels of vitamin D and neuropsychiatric disease. Front Neuroendocrinol. 2013 Jan;34(1):47-64. Rathod R, Kale A, Joshi S. Novel insights into the effect of vitamin B12 and omega-3 fatty acids on brain function. J Biomed Sci. 2016;23(1):17. Duracková Z.Some current insights into oxidative stress.Physiol Res. 2010; 59(4):459-69.